The first small hiccup was that, with impeccable timing, the car decided to start not starting and leak oil, a few days before we were due to leave. I panicked and phoned the AA about the possibility of changing over the car policy, as we had taken out their full European cover with repair costs covered (essential in my opinion when traveling in such dodgy old cars) and they informed me that as we were within 72 hours of our ferry leaving they would pay for a hire car as the repairs would take too long. Winner! So we got this posh Hyundai something or other that was supposed to be an estate, but I’m not convinced and if I was lucky enough to be able to buy a brand new car I can say I wouldn’t buy that one. But beggers, blaggers, bloggers can’t be choosers and it was about a million time better than our crappy car which in hindsight may have been quite unbearable in the heat as it has no such mod cons as air con. The ferry was fun and we were in full holiday spirit. They have a manic soft play area on the DFDS crossing to Dunkirk and everyone was very excited. We chose to take the afternoon crossing arriving at a normal ( but every day we are optimistic )bedtime of 7 pm. The idea being that the kids would sleep and we would get some distance covered in peace and quiet and just transfer them easily into bed. What actually happened is the sat nav app that I had downloaded didn’t want to to download the France map as maybe it needed a better internet connection or something..hmm whoopsy..anyway.. Determined to be unflustered by the fact that we didn’t have a computer to be our minds, we navigated our way pretty easily to our quick night stop in Reims.. apart from the bit when we got into Reims which wasn’t on the big France road map. I had luckily printed out a really basic map from their confirmation email and thought we had it nailed and where on the road that the hotel was on.. except we were on the right road but heading in the wrong direction out of Reims and into the deep dark country. By the time that we had realised this we had driven about 20k and it had gotten VERY stressful and VERY late. Lennie had not been sleeping like a good easy baby as we had planned and instead, inconsolably screaming for hours. I think it was that overtired thing they talk about. Eventually, we headed back the opposite direction on the same road and headed into Reims and found our hotel. The next morning we discovered that in this stress the bank card for the account had gone missing somewhere with all our holiday money ..so we had to cancel it and luckily my lovely parents lent us the money until we got back. So we are back on track. We composed ourselves, used our brains, looked at the map and managed to make a stress free journey down to Cluny where friends of ours are living. We stopped off in Dijon and It seemed like a really nice city from what we saw in a few hours. 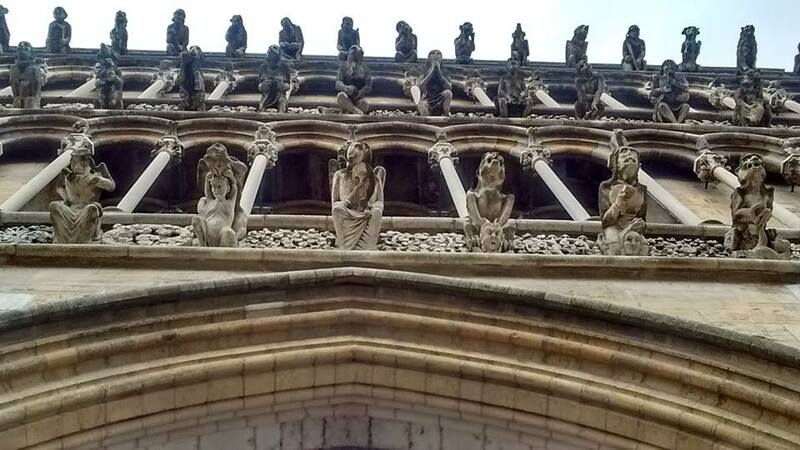 They have some really really amazing gargoyles; all totally different weird spooky creatures and fantastic gothic architecture. We also discovered one way to shut your kids up for a bit is to go into a massive church. I don’t know if that’s a consistent guarantee though..I wouldn’t go booking a guided tour of big fat catholic churches based on our one experience. They were probably just overwhelmed. 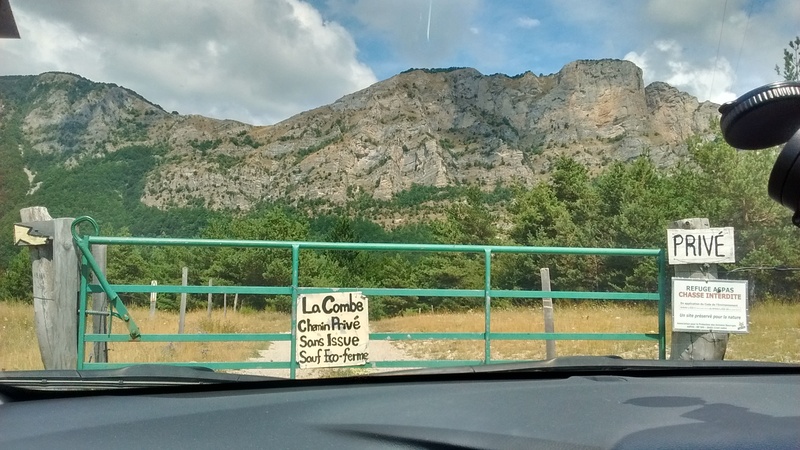 We head on for a stop in the Drome Region (which is situated just at the beginning of the alps), to my husband’s childhood friend Jake’s parents, Marte and Chris’s Eco farm/research project based on top of a mountain. They are nearly completely self-sufficient and have solar panels, a wind turbine, natural spring water for their water and power and grow their own vegetables. They make their own milk and cheese and eat their animals. They have a herd of cows who roam the land, sheep, chickens and horses. Marte is a worldly renewed and respected expert in animal behaviour and eco-agriculture. Having written various books, most recently ‘Eco-agriculture: Food First Farming – Theory and Practice’. Which I have just ordered. She was one of the first researchers studying the behaviour of large mammals in the field in Africa and one of the first Animal Welfare Scientists. What a great post! Sounds like how our holidays all ways seem to go… something always goes a bit wrong! So very glad you were able to get a hire car though, that was a real #mumwin Thankyou so much for linking up with #busydoinglife it’s great to have you joining in I’d love to read more next week!! ah wow that must be quite near Cluny? 9 in a bus! how old are they all? sounds like amazing fun. I would love to take a road trip one day. yes there was def pro’s and cons! i think our next big trip will be a month in Portugal next summer but we will take the ferry to Santander so its not so much driving! Haha I thought it was just me. There is soooo much to think about before hand. Impossible for everything to go completely smoothly! 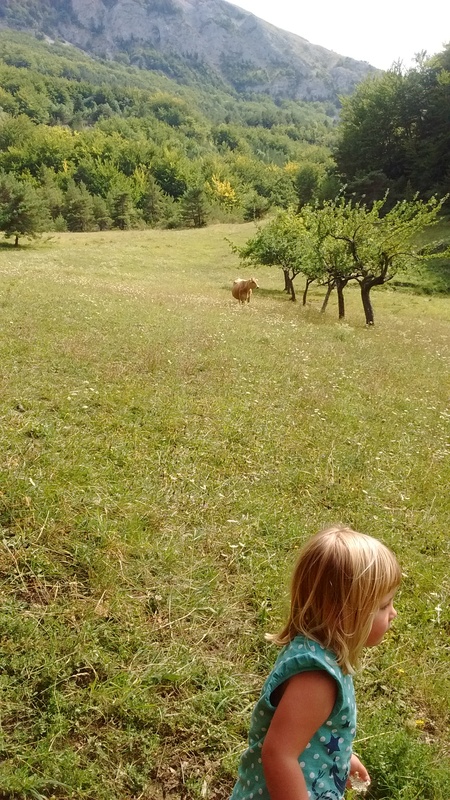 Our 4 year old was in her element, being outside in nature so much and so much easier than usual. She hates being in the house! The 2 year old was still a bit hard work though! 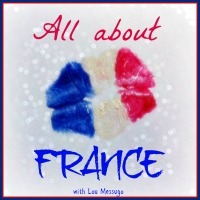 I am enjoying your France story. I cant find a follow button for you though? I actually prefer reading map’s I reckon​. Because when the sat nav does a little whoopsy you have no idea where you are if you haven’t​ been looking at a map! Ah thanks, It had it pro’s and con’s for sure. The 4 year old was easy compared to the 2 year old. So I suppose you are in the middle! 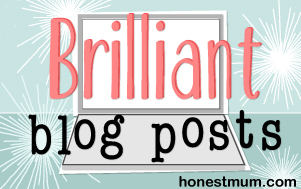 Thanks so much for linking this post. We are new Expats in the Netherlands and are looking for fun trips just like this. I can’t wait to look up your friends farm! Oh yeah..there is loads of cool stuff like in Europe​.. Do some, report back and maybe we will go on your advice! yeah i had a little cry in the dark in the car.. I am buying a normal sat nav next time! Yes I find you always make the best memories on an adventure! next year we want to get the ferry to santander and then do portugal. 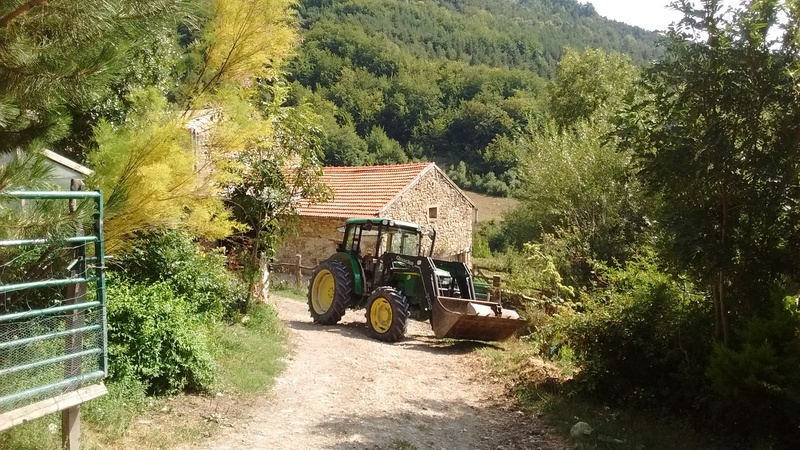 We just did a similarly lengthed journey – noth east uk to Alsace, but our car gave up on the way back! Love your style of writing. Look forward to the next leg! It’s on my blog http://www.supermumandotherdisguises.com if you want to check it out. Our car would have never made it anywhere. Thank God for the aa cover !